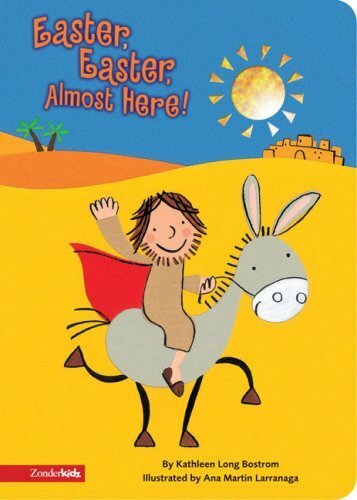 This charming board book will delight the hearts of little ones as they share in the excitement of Jesus entering Jerusalem on a donkey on what would become known as Palm Sunday. Full color. 24 pgs. Ages 2-4. Eeyore is gloomy. He needs his friends to cheer him up. Color illustrations by Ernest H. Shepard. Ages 2-4. Story based on real donkeys at the Sanctuary in England. The first half of the story is completely true and relates to the rescue of Crackers over the Christams period. The second half of the story is mainly fiction. Delightful story for children or adults. Ages 8 & up. 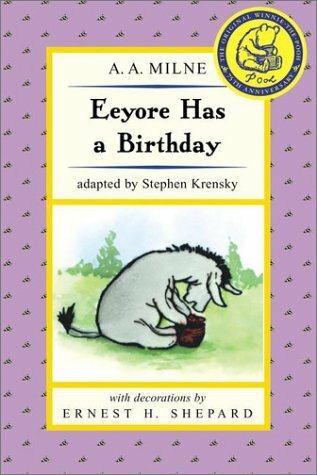 Will presents from Piglet & Pooh cheer up Eeyore on his birthday? 48 pgs. Ages 5-8. Will presents from Piglet & Pooh cheer up Eeyore on his birthday? Ages 5-8. 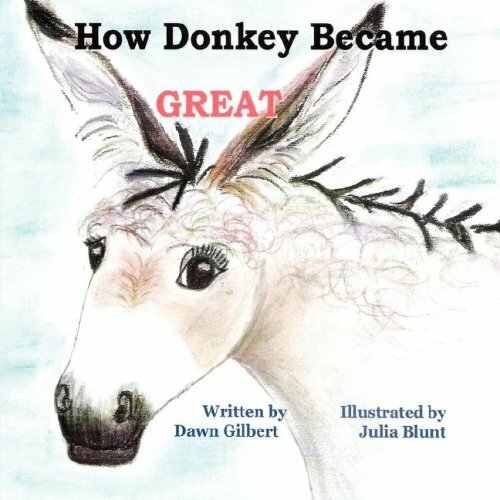 True story based on a real donkey at the Sanctuary in England. 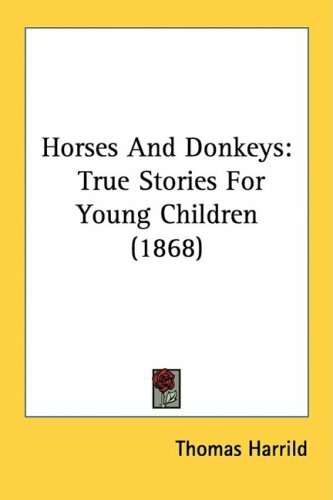 Eeyore tries to help the children who regularly attend The Slade Centre which is located in the grounds of the Donkey Sanctaury in Devon, England. Over 200 children from hospitals and schools for the handicapped attend. These children, as well as having a day of joy, loving, riding and grooming the donkeys, frequently make great physical and mental strides, and to them the experience is invaluable. Delightful story for children or adults. Color illustrations. Ages 8 & up. Illustrated by: Camburn, Carol A.
Elston, the rooster, assumes the other animals don't like him because he wakes them up every morning. Ernest tries to convince his friend otherwise, but Elston decides that he no longer wants to be a rooster. A funny adventure follows demonstrating what can go wrong when you try to be something you're not. The barnyard animals soon discover that their differences are precisely what make them so special. Both adults and children will fall in love with this heartwarming story. Have fun looking for the little dragonfly on every page. "Ernest & Elston" is the fifth book in the Ernest Series books. Cute colorful illustrations! Ages 6-10. 29 pgs. 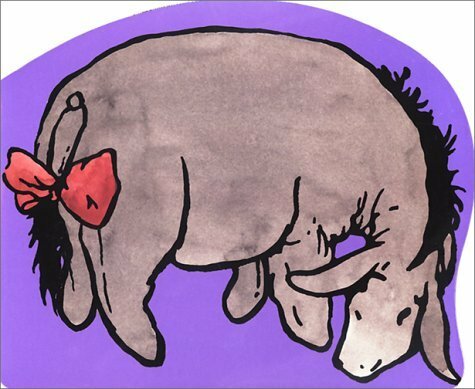 Books in this Series: "Twist & Ernest", "Teeny Tiny Ernest", "Ernest & The Big Itch", "Ernest's Special Christmas", "Ernest & Elston"
Ernest, the minitaure donkey, has an itch. It is so big it causes an "earthquake" for Chipper the bird. The search for a way for Ernest to scratch his itch leads to an amusing barnyard adventure and the beginning of a beautiful new freindship. Both adults and children will fall in love with this heartwarming story. Have fun looking for the ladybug hidden on every page. "Ernest & The Big Itch" is the third book in the Ernest Series books. Cute colorful illustrations! Ages 6-10. 28 pgs. 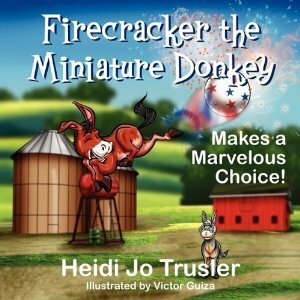 As Ernest, the miniture donkey, and his barnyard friends prepare to celebrate Christmas, they realize that one of them is missing. What starts as a beautiful, snowy Christmas eve turns into a struggle to save a friend and the discovery that being together with loved ones is the most special Christmas gift of all. Both adults and children will fall in love with this heartwarming story. Have fun discovering the tiny mouse hidden on every page! "Ernest's Special Christmas" is the fourth book in the Ernest Series books. Cute colorful illustrations! Ages 6-10. 28 pgs. Ernest, the little donkey, will amuse you with his antics at trying to look taller to impress his friends. It turns into an inspiring tale of self-realization and true happiness as Ernest confronts - and overcomes - his sadness at being so small. With the help of his friends, Ernest finally realizes that who you really are comes from the inside. Both adults and children will fall in love with this heartwarming story. Have fun looking for the bumblebee hidden on every page. "Teeny Tiny Ernest" is the second in the Ernest Series books. Delightfully illustrated. 28 pgs. Ages 6-10. Little Ernest was lonely. He needed a buddy. Someone besides the cows and chickens. When a big, beautiful show horse named Twist arrives at the farm, Ernest is sure the friend he was hoping for is here at last! But Twist doesn't want to be bothered by the scruffy, little donkey until Ernest's persistence and enthusiasm win him over. 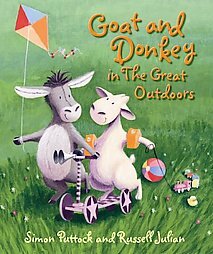 Both adults and children will fall in love with this heartwarming story of a developing friendship between this unlikely pair. The memorable characters and engaging story are based on real life animals who live at Barnesyard farm. This little donkey will capture your heart. Have fun looking for the butterfly hidden on every page. "Twist & Ernest" is the first in the Ernest Series books. Delightfully illustrated. 28 pgs. Ages 6-10. A pocket-size flip-motion book. 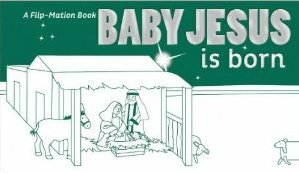 Flip through the pages and watch visitors welcome baby Jesus. Contains no text. A pocket-size flip-motion book. 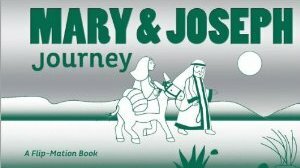 Flip through the pages and watch Mary & Joseph travel to Bethlehem, where Jesus is born. Contains no text. Goat is easily distracted. So when he offers to do the grocery shopping, his best friend Donkey writes him a list of exactly what to buy. But the market, full of lovely things, makes it hard for Goat to concentrate on his list. Delighfully illustrated. 26 pgs. Ages 4-7. Goat wants to take a trip to the Great Outdoors. His tent is packed and his favorite teddy is ready, but Goat isn't quite sure where he wants to go. Delighfully illustrated. 26 pgs. Ages 4-7. 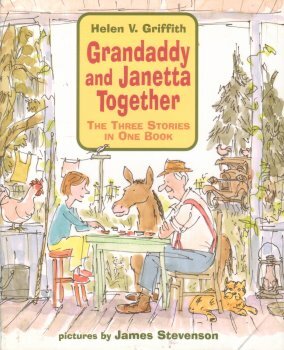 Three stories: Grandaddy's Place, Grandaddy & Janetta, and Grandaddy's Stars. At first Janetta isn't so sure she wants to go visit her grandfather. 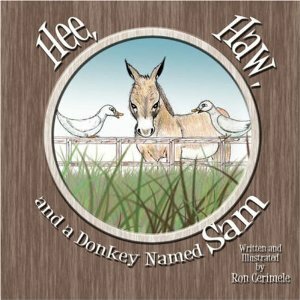 His yard is red dirt, he has a broken-down shed, and animals all around - even a mule! B/W illustrations. 80 pgs. Ages 7 - 12. Story of donkeys based on actual incidents at the Donkey Sanctuary. 36 pgs. Ages 8 & up. Large, easy to color drawings of 23 different animals along with their names in Hawaiian. Donkey, goat, cat, turtle, pig, mongoose, and more. 23 pgs. Ages 4-8. Large, easy to color drawings of 23 different animal families along with their names in Hawaiian. Pig, goose, chicken, rabbit, donkey, frog, owl, whale, goat, and more. 23 pgs. Ages 4-8. Drawings of 12 different horses, donkeys and mules of Hawaii. Each picture has a short description and information about that animal and its uses in Hawaii. 24 pgs. Ages 4-8. 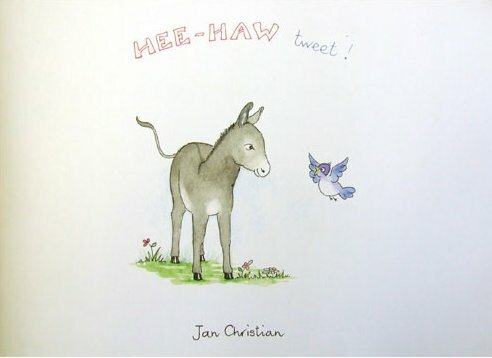 Beautifully illustrated story of a lonely donkey that makes friends with a bluebird. 36 pages. Ages 4-8. Always overshadowed by his competitive older brother, especially in their work as mule drivers on the Erie Canal, fourteen-year-old Howard finally finds the courage to pursue his dreams of becoming an educator after he learns about sign language and teaches it to his deaf friend in ninteenth-century New York State. 182 pages. Ages 10 & up. Based on a true story of a donkey rescued from a terrible fate. Donkey, aka Eeyore, was adopted by a loving family and struggled to fit in. 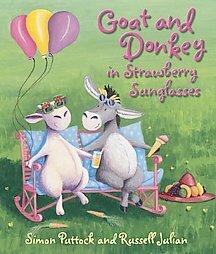 Follow donkey's quest to become great and stand out in his barnyard home. A story to show that to be great you only need to be yourself. Suitable for all ages both children and adults. 40 pgs. Ages 8-14. Jouha is loading his donkeys with dates to sell at the market. How many donkeys are there? His son helps him count ten, but once the journey starts, things change. First there are ten donkeys, then there are nine! When Jouha stops to count again, the lost donkey is back. What's going on? Silly Jouha doesn't get it, but by the end of the story, wise readers will be counting correctly - and in Arabic! 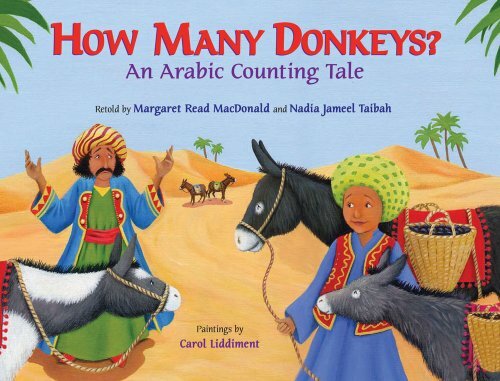 Margaret Read MacDonald and Nadia Jameel Taibah are the tellers of this funny tale from the Middle East. Bright full-page sunny pictures. 32 pgs. Ages 4-7. Story of Ears, the donkey, who is always hungry & gets into trouble. An excellent book for young children who are just beginning to read. Color illustrations. 16 pgs. Ages 4-7. 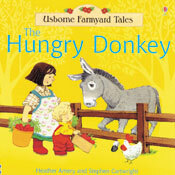 Story of Ears, the donkey, who is always hungry & gets into trouble. Some words in the story are missing and little black and white pictures are there instead. Find the stickers that match and place the sticker on the picture. An excellent book for young children who are just beginning to read. Contains over 50 Stickers. 16 pgs. Color illustrations. Ages 4-7.